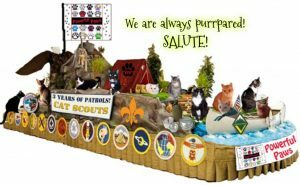 Cat Scouts is a community of cats who are committed to becoming better cats by living life The Cat Scout Way. The Cat Scout Handbook is their guide on this adventure. 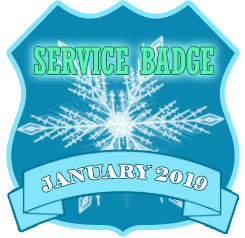 Cat Scouts earn merit badges, enjoy the camaraderie of fellow scouts around the campfire, learn Cat Scoutcraft, and do service projects in their communities. They learn self reliance and survival skills. They wear spiffy uniforms. Girlcat Scouts sell Cat Scout Cookies on card tables in front of Piggly Wigglys to raise money for Cat Scout activities. MEMBERSHIP IS FREE and members will be entitled to a discount on The Cat Scout Handbook when it is published. Not quite ready to commit? Take a few minutes to explore the site. Play a few games, read the most recent news, check out our sponsored cats and service projects. Then, click the red join button and get ready for the adventure of your life! Just because you want to join Cat Scouts doesn’t mean it’s a slam dunk. No siree! We’re not one of those social networking sites where you just type in your email and you’re in. Cat Scouts requires that you complete an application that demonstrates your commitment to living life The Cat Scout Way and fulfill some basic requirements. The admissions board will review your application and notify you if you are accepted. Cat Scout members get a discount on The Cat Scout Handbook when it is published. 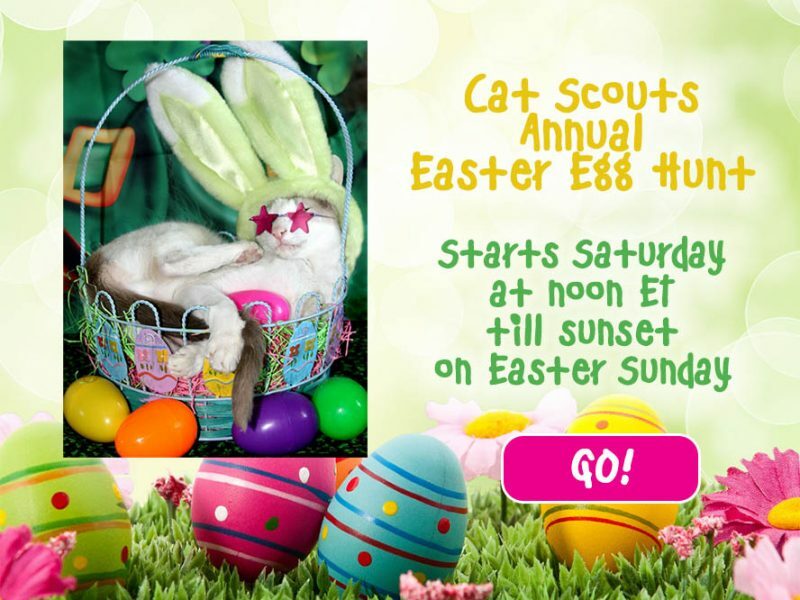 Sign up for the monthly Cat Scout Newsletter for publication updates and some swell Cat Scout activities! Cat Scouts membership is free. It only takes a minute to sign up for a lifetime of fun and adventure! Click JOIN to submit your application! Cat Scouts Choir Audition: Upload Your Auditions Here! 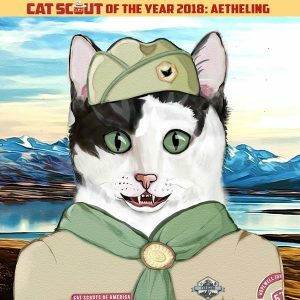 Scout Ætheling has been awarded the Cat Scout of the Year title for 2018. This intrepid scout never misses a service project. 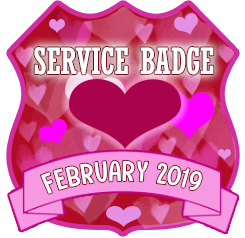 As you know, the service project is the most important thing we do; it is the heart and soul of Cat Scouts. Scout Ætheling is one of those behind-the-scenes scouts who never misses an event, steps in to keep the campfire stoked, and always gives a helping paw to Scouts who need assistance. He has amassed over 75,000 points in his time as a Scout. That point total represents service projects, merit badges, event attendance, and day-to-day interactions on the site. Maybe one of your New Year’s resolutions should be to take a page from Ætheling’s book and do a good purr daily, turn every frown upside down, complete each month’s service project, and just be the best darned Cat Scout you can be. The CSOTY 2019 title is within your grasp! The Powerful Paws Patrol was formed in 2014, headed up by Scout Tiger. We have 16 members, many of whose peeps work, so some of us are not as active or as visible around Camp as we’d like to be. When important activities come up, however, the Paws are always ready to join in Camp-wide activities, as well as host some events. Our Patrol’s paws symbol represents the powerful Cat Scout values of friendship and loyalty, very important values to us Paws. Because so many of our peeps work, we embody friendship and loyalty to our patrolmates by making sure that no one gets left behind at events. We Paws are always ready to help and comfort those in need. Cat Scouts is not just about fun and adventure. 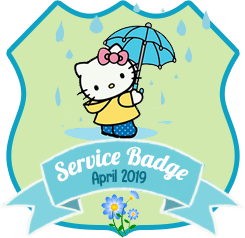 Scouts also purrform service projects every month. We send birthday and holiday cards to residents of two facilities for the handicapped in Ohio and New York. The recipients often have limited contact from their families, so the cards mean the world to them. They mean a lot to the scouts who send them, too, giving warm and fuzzies that spur them on to contribute even more to their communities. 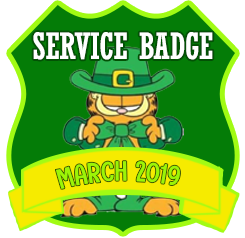 Want to get in on the Cat Scouts service projects? CLICK HERE.